Have you been ignoring Twitter? Do you think you don’t have time for it? Well, I’m here to try to convince you that Twitter is worth your energy. We already know that social media in general helps us to build our brand and connect with new readers. Twitter, like no other social media network, is especially helpful in helping authors connect with readers around the globe. You’ll also meet other Indie authors you can connect with as well as publishing experts, agents, publishers and expert bloggers. Through Twitter I met Tony Riches, a writer and blogger from Wales. As soon as my first book was published, he asked me to write a post for his blog. Soon my book was selling in the U.K. and still does – every month. More recently, I met Gregory A. Barker, the editor at Voice Council Magazine, who asked me to write two social media articles for his magazine, which has a distribution of 2 million readers. I first found Susanne Lakin on Twitter and then met her in person at the San Francisco Writers Conference. I gave her a copy of my book and she began to recommend it on Twitter. I’m active on other social media platforms yet Twitter, like no other social media network, has created opportunities for me and is responsible for my book sales in nearly every pocket of the U.S. and in other parts of the world where people speak English. Twitter will provide you with instant accessibility to the greatest minds in publishing, writing, public relations, and editing. And this channel is probably the best platform to keep you up to date on writing conferences, book marketing techniques and workshops about your genre. One benefit of Twitter is that you will see instant results. If you retweet someone’s message, the likelihood is high the person will send you a thank-you tweet —immediately. If you ask a question, people will answer. On Twitter, everyone is accessible because that is the nature of Twitter. Some authors are perplexed by the 140-character limit. Writers often ask, “What can I say in 140 characters?” We fool ourselves if we think that our readers have the time or patience to read long social media posts. On Facebook, for example, recent studies indicate that the most successful status updates contain just 80 to 190 characters. On Twitter, You can actually say a lot in 140 characters or 120 characters, which will be your true character limit if you want your content to gain traction and spread through retweets. If you are new to Twitter, here are some initial steps you’ll need to take. Navigate to Twitter and sign up. Create a password with characters, numbers and signs, such as @,#, *, and &. Your next action is to decide on your username, also called a handle. Restrict your username to 12 characters or less. Brevity is important on Twitter where every character counts. Writers change the world one reader at a time. But you can’t change the world with a book that’s unpublished. Self-publishing puts your book in readers’ hands. NY Times & USA Today Bestselling Thriller Author http://JFPenn.com. Professional speaker. Entrepreneur. On writing, self-publishing, book marketing. Cuenta cuentos, escritora, activista y bajita. | Storyteller, writer and activist; also known for being vertically challenged. Your next step will be to customize your profile. Click Edit Profile to upload your profile and header images. Your profile image – also known as your avatar – will be a picture of you and needs to be 400 x 400 pixels. Your header image will be 1,500 x 500 pixels and can be a composite of your book titles or an image that reflects the theme of your book. In all of your images, consider how they further your brand. Here is an example of Joanna Penn’s header image. If you’d like to customize your background and the color of your links, click Settings > Design and select your colors. You can also use this opportunity to add an image to customize your background. Note: You are the only person who will see the customized background. It’s time to familiarize yourself with Twitter’s pages. When you click on Home, you will arrive at your timeline where you can see a lengthy and fluctuating stream of incoming tweets. The newest updates will always appear at the top. The Notifications page will provide you with two tabs: Notifications and Mentions. Tweets that begin with your username or mention your handle in a tweet will land on the Mentions tab. The Notifications page will list users who recently followed, retweeted and mentioned you. Clicking on Me will take you to your tweets and the option to view your lists, followers, and users who are following you. When you click on the Discover page,you will see trending stories based on your connections,location and language. When you click on Activity, you will see who most recently followed whom. On the Who to Follow tab, Twitter will suggest users you might want to follow based on the type of users you most recently followed. If you want Twitter to find your friends on Twitter by connecting the platform to your email accounts, click on the Find Friends tab. The popular accounts tab is self-explanatory. There are two gearshifts on Twitter; one is located to the left of the quill pen, and the other is situated to the left of the follow button. click the gearshift to the left of the quill pen. then click the gearshift next to the following button. This is where you can also block or mute another user. When you’re ready to tweet, click the quill pen. You can also use this feature to tweet images and tag other users in the images you send out. Every country has a language, and some even have a host of distinctive dialects. In the universe of social media, Twitter has a unique and expanding use of Twitter-specific terms. To help users keep up with the twists and turns of Twitterspeak, you can refer to two websites, Twictionary and Twittonary. #(Hashtag): This symbol, when followed immediately(without a space) by a word, becomes a hyperlinked keyword and is searchable on Twitter. When used in the Twitter search bar, users can find the type of information they wish to find while authors can use hashtags to attract readers to their books. When you write a tweet with a hashtag, your tweet will become searchable and therefore more discoverable. @Reply: Use this symbol followed by a Twitter user’s handle (username) to send an author a tweet. When you start a tweet with a period before the @ sign, such as . @JFbookman, then the tweet will appear on the timelines of everyone who follows Joel, as well as your and Joel’s timeline. When you start a tweet with simply @JFbookman, the tweet will only appear on his and your timelines. Blocking: Is someone bugging you on Twitter? Navigate to the gearshift next to the follow button and select Block. Next you’ll be asked to qualify the reason you want to block the user. Muting: If you don’t want to block someone, but you still don’t want to see his or her tweets, you now have the option to mute the user. DM: This abbreviation stands for Direct Message. If you want to send a more private message to another user, this is the function to use. However, a number of writers use this feature to spam their followers with information about their books and blogs. Refrain from doing this. You’ll know you have direct messages waiting when you see a number next to the horn on the upper-right taskbar between the search bar and the gearshift. Favorite: This is a feature of Twitter that allows you to mark a tweet as one you really like. Once you click on Favorite, Twitter will automatically pin the message to your account for reference later. When others designate your tweets as favorites, you’ll be notified on your Notifications page. Follow: Facebook has friends and fans, LinkedIn has connections and Twitter has followers. When you decide to follow other users, they will receive a message (depending on their settings) and have the option to follow you back. Even if the other user doesn’t follow you back, you can continue to receive their tweets. Followers: This term is used for users who receive your tweets. Handle: A Twitter handle is the username you select. Navigate to your Twitter taskbar, click the gearshift and select Lists. Beneath Edit profile, you will see an option to create a list and name it. To add a user to your new list, navigate to the profile of the user you’d like to include in your list and click on the gearshift next to the Follow/Following button. Click on Add or remove from lists and then place a check mark next to your designated list. You can use your lists to curate information for your own tweets. Timeline: In Twitter, a timeline is a list of tweets that change with every passing second. Another term for this tab is the Home page or newsfeed. Trending Issues/Hashtags: You can determine the type of trending issues you’d like to be notified of by navigating to your Home tab and deciding whether you want notifications of trends by geographic region or tailored. It’s important to watch trending topics because when they relate to your topic, you can capitalize on issues that recently have gained traction on Twitter. For example, one day the top trending issue was picture books and I was able to jump on the trending hasthag #PictureBooks for my client who writes and illustrates picture books. Trends are fun to watch and can help you further your reach. Modified Tweet/MT: Some users will write MT instead of RT when they alter the wording of a tweet. Others believe that MT is pointless because you can structure your tweets however you’d like to. Tweeps: This term is used to describe friends or followers with whom you are in frequent contact. Tweet: A post a user sends to his or her following that abides by the 140-character rule. It can be comprised of a blog title with a link to it, an uplifting quote, an image or video, or a friendly message to another user. Tweets can also be expressions of gratitude, questions, or messages congratulating another user on a great blog post or new book. How often you decide to tweet depends on your availability. It’s recommended that you tweet a minimum of five times daily. Twitterati: Similar to glitterati, the Twitterati are the stars of Twitter. Twitterchat: A Twitter chat is an active discussion occurring on Twitter at a specific time and typically for the duration of an hour. As long as you know the hashtag and time of the Twitter chat, you can join one. Twitter chats provide opportunities to connect with other writers and publishing experts around a specific topic and expand your network by meeting and chatting with new users. Twitterer/Tweeter: Someone who uses Twitter. Twittosphere: Similar to Twitterverse, this term refers to a collective group of people who tweet. Unfollow: You have the option to no longer follow other users. Via: Use this term when you retweet someone else’s tweet or content. Here is an example: This Week in the Blogs, July 12 – 18, 2014 http://dlvr.it/6N1Gld via @JFbookman. You could also use the abbreviation RT but the term “via” is used more frequently. In the microblogging sphere, every character counts. When your limit is 140 characters, you have to kill every appearance of “the,” “but,” “or,” and similarly extraneous words. Some users employ texting language (“I luv u” instead of I love you) in their tweets. Avoid doing this. If you post directly on this platform, Twitter will automatically shorten a long link for you. If you instead use a social media dashboard, you need to shorten the link before saving your tweet. You may also use a URL shortener, such as Bitly.com. For example, Bitly can shorten this link http://www.thebookdesigner.com/2014/07/this-week-in-the-blogs-july-12-18-2014/to bit.ly/1qUFixu. As mentioned above, hashtags are comprised of keywords with a pound sign directly in front of them, making them hyperlinked and searchable on Twitter. Writers include hashtags to enhance search results and to highlight keywords important to their books or niche. Research indicates that using more than two hashtags can reduce the number of retweets you’ll receive so use them wisely. You can create your own hashtags to track mentions of you and your books. I offer a word of caution, however. You will want to test your hashtag before using it to ascertain that it isn’t already in use by someone else and to check whether it might be an abbreviation for a salacious term. If you write memoir, you’ll want to include #memoir when you tweet about your book to attract readers interested in this genre. Are you looking for a prompt to jump start your writing? Use #writeprompt in the search bar to find writing prompts. If you suggest writing prompts several times a week, you will reach new users and expand your tribe. If your keyword phrase has two words, delete the space between the words (as done here with #writeprompt, #bookmarket and #bookmarketing). To learn the definitions of hashtag or to discover what’s trending on Twitter, go to #tagdef or #hashtags.org where you can also track keywords. #99c—If you have a spare $0.99 to spend on a new story, use this tag in your Twitter search bar and you’ll find dozens of them. You can also use this tag to find new readers if you’re selling an eBook for this price. #AmazonCart – You can encourage your readers to connect their Amazon and Twitter accounts. Then each time your readers include #AmazonCart in a tweet, Amazon will know to add the items with the corresponding Amazon link to your readers’ shopping carts. #amwriting / #amediting—These terms are commonly used for Twitter chats you join. Johanna Harness is the creator of the term #amwriting as well as the www.amwriting.org website. Chats take place throughout the day. #AuthorChat—This hashtag is used for ongoing conversations between authors. #askagent / #askauthor—These are great tags for writers who don’t have an agent or editor, but have questions for them. Who knows? You just might find your next editor or agent on Twitter. #bestseller—Have you written a best seller? Let everyone know. #bookmarket / #bookmarketing – Search for this hashtag to learn more about marketing your books. #eBook —Did you release an eBook or recently convert a hard copy novel to an eBook? Use this hashtag so that iPad, Nook and Kindle users can download it. #FollowFriday / #FF—This is a fun Twitter tradition for expressing gratitude to your retweeters by giving them exposure to a wider audience. On Friday mornings, compose a tweet comprised of the usernames of your most loyal retweeters. You can also #FF writers you admire or members of your critique group or book club. #Free / #Giveaway—This has become a popular hashtag on Twitter. Let readers know when you’re offering your next book or story giveaway. #Genre / #Romantic / #Comedy / #Suspense /#Mystery / #Erotica—Some readers search specifically by genre. #Greatreads—You can use this hashtag for promoting your friends’ books or just sharing your impressions of the last book you read. #Holidays—Holidays – #Halloween, #Christmas, #Hanukkah – are trendy on Twitter. Use them in creative ways to promote your blog and books. #HotTitles—Have you read some books lately that are selling like wildfire? Let your Tweeps know about them. #IAN—This hashtag stands for Independent Author Network. 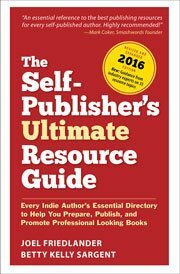 Started in 2010, it’s become a resource for Indie authors who support each other in their promotions. #KidLit/#PictureBook – Authors of children’s books will want to use these hashtags. #kindle—If you have a book on Kindle, let everyone know. #memoir—Connect with other memorists and readers by using this hashtag. #nanowrimo—Every November, thousands of writers take part in NaNoWriMo, the effort to write a novel in one month. You can keep in touch with other NaNoWriMo writers all over the world by using this hashtag in your tweets or by searching for this term. #ShortStory—Do you prefer to write short stories? Attract new admirers with this hashtag. #ThankfulThursday – Similar to #FF, use this hashtag to thank other users in your community. #WLCAuthor —The World Literary Café is a promotional website for authors. Similar to the Independent Author Network, Indie authors help each other in their promotions. #wordcount—With this hashtag, you can share your progress with other writers on the book or story you’re writing. #writegoal—Users include this hashtag to publicly announce how many words they intend to write that day. #WritersBlock / #WriteMotivation—Do you sometimes need a little motivation in the mornings to get your writing started? Use these hashtags to find your inspiration. #writetip / #writingtip — If you don’t have time to take a workshop, trying using these hashtags to learn more about your craft. #writing / #editing—These terms are similar to #amwriting and #amediting. #writingblitz—This term is used to let your followers know that today you are writing as fast as you can and locking your internal editor into a closet. #writingfiction—Fiction writers use this hashtag to meet each other or to share their books, goals, or ideas on writing fiction. #writingprompt / #writeprompt—Is it hard to get started on the next chapter of your novel? Well, worry no more. Log on to Twitter, search for this tag, and you’ll find a great prompt to get those creative juices bubbling. #ww / #writerwednesday—Is there a writer you would like to introduce to your followers? Use this hashtag and introduce your colleague to your Twitter tribe. Here are some tips on how to make the most of your time on Twitter. Check your @replies (followers who reply to your messages) and respond to questions as promptly as you can. Tweet your blog posts. Use a variety of headlines, and test which headlines work the best and result in the most retweets and click-through rates. Tweet at least five times daily and space your tweets throughout the day. When scheduling your tweets, don’t forget to release announcements of some of your blogs during the weekend when people have more leisure time to read and post comments. If you are running a contest on your Facebook page, let your Twitter followers know about it. Share your e-newsletter on Twitter and invite people to sign up. Don’t cross-post your Twitter content to Facebook and LinkedIn. You need to develop a distinctive voice on each network. Repeating the exact message on all of your social media networks could cause you to lose followers, friends, and connections. If you’re conducting research for a blog post or book, ask your Twitter followers for their ideas. Twitter has a limit on the “follow ratio” of its users. Once you reach 2,000 Twitter followers, Twitter will limit the number of users you follow to 10% more than the number of users following you. If you have 3,000 followers, you can follow only up to 3,300 users. If you want to encourage retweets of your posts, keep your original message short. In Twitter, it’s all about keeping your tweets within the 140-character limit or fewer—and that includes your links. Do not send a direct message to solicit the purchase of your book or the reading of a blog post. If someone tweets a compliment to you, do not retweet it. Allocate time to be social on social media. Spend time on your Twitter account, initiate conversations, praise others, and follow the 80/20 rule: 80% of the time, you promote others and 20% of the time, you can promote your books and blog posts. Thank people who spread the news about your books. Tweet regularly and retweet from a variety of source materials on the Internet. If you always tweet the same few sources, your tribe might not grow. Help other writers promote their books. Join an application such as Triberr to build your tribe or get to know other writers by asking them questions. Always credit the source of content you tweet. Twitter is the only social media channel that is always abuzz with the most up-to-date news on every topic. No other social media network carries the immediacy or scope of Twitter. Here, you can find the latest news about writer’s conferences, Amazon-related issues, book selling and book marketing trends as well as updates on the World Cub, earthquakes and floods, and airline disasters. If you’re dedicated to Twitter, work on building your tribe, and don’t over-promote yourself, your following and readership will grow. I have an active twitter account for my website (a few hundred followers, 8 tweets). I’m in the process of writing a book and wondering if I need a separate twitter for the book. Or if I should just promote it where I already have activity, followers, etc. What makes the most sense? You don’t need a Twitter account for your website. And you don’t need a Twitter account for a book. You need a Twitter account for the author — You! You are your brand and you need to promote yourself as an author. I imagine you’ll be writing many books in the coming years and to create a Twitter account for each book you write is terribly time-consuming. So simply change your username on the Twitter account you now have to the name that appears on the covers of your books. You can also delete your website’s name and replace it with your author name. Then you’ll be on the right track! Frances, great tips! I’m looking forward to working through these. I’ve just joined Twitter following your instructions, Frances. Thanks for giving me the push I needed! I’ve read your book (and a few others too) but still wasn’t brave enough to take the plunge till today. It’s kind of you to help us more timid souls find our way! Marina: I am so glad this post helped you. I’ll be sure to look for and follow you! Thank you, Frances, for defining and explaining terms and uses of the twitter medium. I’ve been in the dark for too long about this quick and phenomenal, communication tool. I have a twitter account, but you’ve provided a great instructional guide that will help me understand how to better use it. Who knows? Maybe I’ll be able to teach my tech savvy kids a thing or two. Pat, Ava & Autumn: I’m so glad you found this post helpful. If you have any follow-up questions, let me know. Twitter is a lot of fun! Frances, you’ve really laid Twitter out there for those of us who still prefer real birdsong. Great tweetorial that I will save as a guide for that inevitable moment when I must leave the nest. Thank you so much for this post, Frances. I tend to be more of a Facebook person and neglect Twitter. Off to follow you and Joel now! Great list of tips! I primarily use Twitter for Montana politics now as that’s the main social media playground for politicians in the state. I know many will get some good tips if they check out my tweet of this article. Thank you, Greg. I’ll be sure to look you up on Twitter. Frances, you rock, I mean tweet! Twitter has me in a twit…trying to get my head around it to become an effective user and loyal follower. Thanks soooooooo much for making my writerly life easier with this post. You are most welcome, Cat! Frances — Thanks very much for your encyclopedic explanation. I’ve tried to become a tweeter several times but gave up. I initially had followers even though I had never tweeted even one word. Then I ended up with two different accounts and could not kill one and keep one. I also have doubts that I could say anything interesting in such a small number of characters, unlike my blog and Facebook pages. But, based on what you’ve said here, I will try to tweet again. HOWEVER, I still refuse to text. Thank you, Michael. I encourage you to give it another go.